Vitamin D deficiency effects? It SIGNIFICANTLY increases the likelihood of most cancers, including pancreatic cancer, ovarian cancer, breast cancer, colon cancer and prostate cancer. "Vitamin D deficiency is a MAJOR unrecognized health problem," according to Michael F. Holick, M.D., at the Boston University Medical Center. Why? Low levels of this vitamin are being linked to cancer as well as to a host of other serious ailments, including multiple sclerosis, juvenile diabetes, influenza, osteoporosis and bone fractures among the elderly. Researchers have long puzzled over why rich northern countries have cancer rates many times higher than those in developing countries, thinking that pollutants were to blame. An answer to this medical puzzle, however, could be that cancers and other disorders in rich countries aren't caused so much by pollutants but by a vitamin D deficiency. This could explain why these are less acute or even non-existent in poor nations closer to the equator. The critical factor causing these higher rates of cancer and other diseases, "is more likely a lack of vitamin-D than pollution." A big bombshell about Vitamin D deficiency effects went off when U.S. researchers announced the first direct link between cancer prevention and the sunshine vitamin. Their results were nothing short of astounding! A four-year clinical trial involving 1,200 women found those taking the vitamin had about a 60-per-cent reduction in cancer incidence, compared with those who didn't take it. This drop in cancer was so large — twice the impact on cancer attributed to smoking — it almost looks like a typing mistake. Because we are used to new drugs costing a fortune, this cancer reduction seems even more remarkable because this can be done simply with an over-the-counter supplement costing pennies a day. One of the researchers who made the discovery, professor of medicine Robert Heaney of Creighton University in Nebraska, says deficiency of this vitamin is showing up in so many illnesses besides cancer that nearly all disease figures in Canada and the U.S. will need to be re-evaluated! Why is this? Why Vitamin D Deficiency Effects for so Many Cancers? In the body, vitamin D is converted into a steroid hormone, and the genes that respond to it play a crucial role in fixing damaged cells and in maintaining good cell health. "There is no better anti-cancer agent than activated vitamin D.
It does everything you'd want," explains Dr. John Cannell, head of the Vitamin D Council, a non-profit, California-based organization. Unlike other vitamins, vitamin D is turned into a hormone, making it far more biologically active. As well, this vitamin is "operating independently in and affecting hundreds of tissues in your body," expains Dr. Cannell. "We don't really know what the status of chronic disease is in the North American population," he said, "until we normalize vitamin D status." The "hide-from-the-sun" advice has been misguided information "of just breathtaking proportions," according to Dr. Cannell! "Fifteen hundred Americans die every YEAR from skin cancers. But fifteen hundred Americans die every DAY from the serious cancers." These cancers all are linked to shortages of this vitamin! In the past, the official word of experts, such as a joint Canadian-U.S. health panel which studied D levels in 1997, had been that the low amounts of this vitamin they found in people's blood were normal. Even back then, there was speculation that vitamin D had an anti-cancer effect, but the more conclusive evidence has only emerged since then -- that low levels of vitamin D are contributing directly to the health disaster of unexplained chronic illnesses ranging from cancer, MS and Crohn’s, to Osteoporosis . Study after study has since found a protective relationship between sufficient levels of D and lower risk of cancer, including 30 of colon, 13 of breast, 26 of prostate, and 7 of ovarian cancer. Reducing pancreatic cancer, for instance, is simply a matter of taking 450 international units (IUs)of D --- about the standard dose in most multivitamins. This is according to researchers at Northwestern and Harvard universities who found a reduced the risk of pancreatic cancer by 43 per cent with this amount of a vitamin d supplement. The evidence is clear, that taking more of this vitamin can reduce cancer -- all types of cancer -- at low cost, with few or no adverse effects. If you are already ill, however, you will need to take a therapeutic dosage to get your levels of this vitamin back to normal. ﻿How MUCH Vitamin-D Do I Need? Miracle Cure-All that's Being Overlooked? We hope you have been inspired by this new research on the best of vitamins to build immune system strength for cancer and other diseases. Up until now It had been thought that the best of vitamins for immune system building was vitamin C.
Researchers are now saying that vitamin D is actually the most potent of the vitamins to build immune system resistance! A vitamin d immune system boost could be your first best help cancer -- even the most aggressive cancers such as colon cancer, ovarian cancer, pancreatic cancer, breast cancer and lung cancer. Vitamin D deficiency effects are far reaching!! The lack of vitamin D mental effect can be depression. 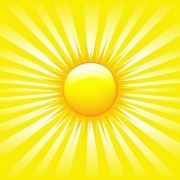 The sunshine vitamin can help cheer us all up! So get some sunshine and take a Vitamin D3 supplement as the best of vitamins to build immune system resistance -- to get and to stay healthy. Food Rich in Vitamin D or Supplements? What foods have vitamin D? Best not to count on food to supply your vitamin D. Understand that Vitamin D vegetables and vitamin D fruits don't really exist. 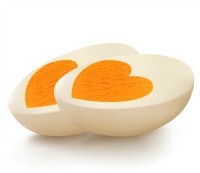 Main food sources are fatty fish (think cod liver oil) egg yolks and fortified milk and juice. Fortified milk is not to be counted on -- it is NOT vitamin D3 and therefore cannot be counted on. So, unless you get a lot of sun on your skin year-round, best to take vitamin D supplements! What is enough? Remember that half the people in sunny places like Hawaii and Australia have been shown to be vitamin D deficient. 1. Supplement Use and Dietary Sources of Folate, Vitamin D, and n-3 Fatty Acids Nutrients. 2018 Jul 25;10(8). pii: E962. doi: 10.3390/nu10080962. 2. Effect of Vitamin D Supplement on Mood Status and Inflammation in Vitamin D Deficient Type 2 Diabetic Women with Anxiety: A Randomized Clinical Trial. Int J Prev Med. 2019 Feb 12;10:17. 3. Nutrition and prevention of cognitive impairment. Lancet Neurol. 2018 Nov;17(11):1006-1015. 4. Nutritional effect on age-related cataract formation and progression. Curr Opin Ophthalmol. 2019 Jan;30(1):63-69. 5. Associations Between Vitamin D Intake and Progression to Incident Advanced Age-Related Macular Degeneration. Invest Ophthalmol Vis Sci. 2017 Sep 1;58(11):4569-4578.